It is with the deepest regret, and heavy hearts that Flourtown Fire Company announces the passing of Al Comly Sr. – May 31, 2011. Mr. Comly was a life active member of the fire company who marked his 70th year of service to the company in 2009. 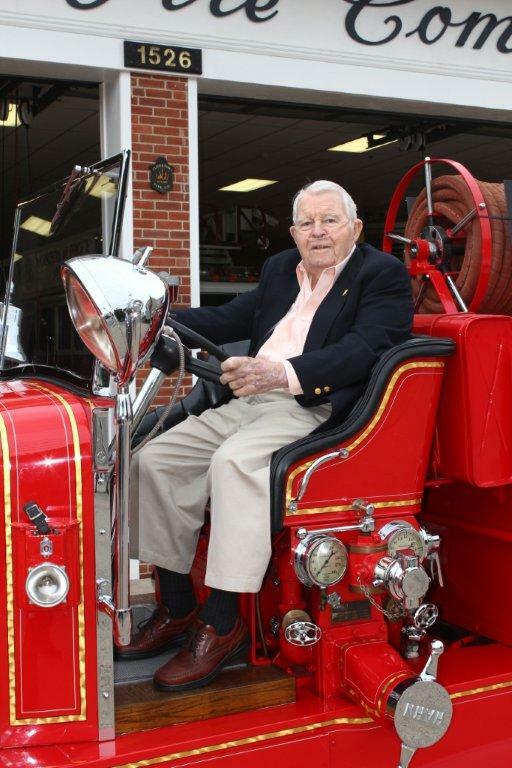 A former director of the company for many years – starting in 1948, Mr. Comly was instrumental in building a solid financial foundation for the company of which the fire company still benefits from today. His business acumen, respectful and gentlemanly manner will be missed by a company that owes so much to him and his family. For as long as many members can remember Mr. Comly and his family have sponsored dinner for the members following the December Company meeting, it was Mr. Comly’s way of thanking the company and its members for another year of service. COMLY ALBERT M., of Foulkeways at Gwynedd, formerly of Flourtown. On May 31, 2011. Husband of Frances Merwin Hallowell Comly, father of Albert M. Comly, Jr. (Kathleen) and Susan C. Gresh (Philip), Also survived by grandchildren Philip Gresh, III, Carolyn Gresh, Albert M. Comly, III, Katherine Comly and great grandchild Peyton Gresh; also Paul, John and Stephen Hallowell and their families. A Memorial Service will be private at the convenience of the family. Memorials in his name may be sent to St. Thomas’ Church, Whitemarsh Memorial Fund, P.O. Box 247, Ft. Washington, PA 19034. Established in 1974, National Volunteer Week has grown exponentially in scope each year since, drawing the support and endorsement of all subsequent U.S. presidents, governors, mayors and other respected elected officials. National Volunteer Week is about inspiring, recognizing and encouraging people to seek out imaginative ways to engage in their communities. It’s about demonstrating to the nation that by working together, in unison, we have the fortitude to meet our challenges and accomplish our goals. National Volunteer Week is about taking action, encouraging individuals and their respective communities to be at the center of social change—discovering and actively demonstrating their collective power to foster positive transformation. So, what do you think? Are you up for a challenge? Would you like to serve your community, and help your fellow man? We want you! 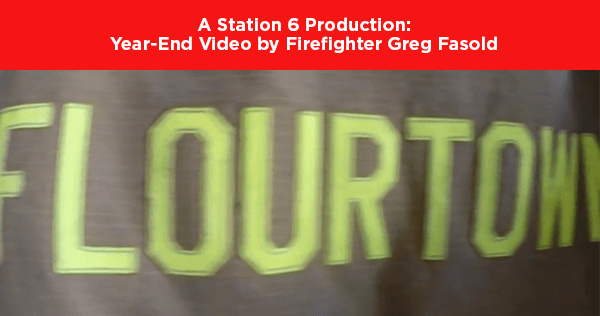 Consider volunteering at Flourtown Fire Company. Join us! Click here for more information.